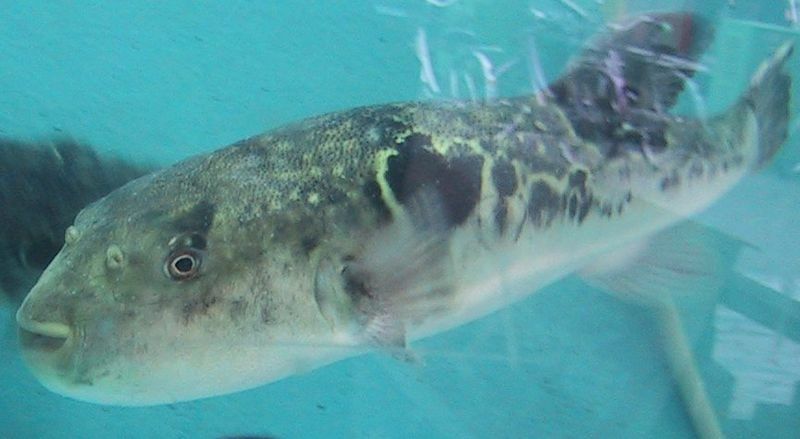 Torafugu or Tiger Puffer is one of more than a 100 hundred varieties of edible Puffer Fish or Globe Fish, but Tiger Puffer is by a great distance the most popular variety in Japan! 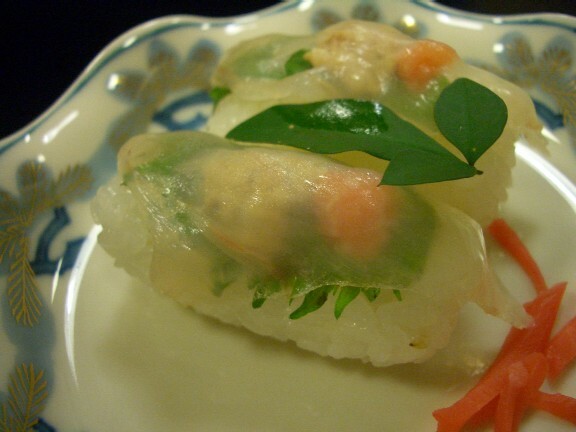 It is also known in Japanese as Honfugu/本河豚 or Oofugu/大河豚. The main season is Winter and a little later for other regions. It is caught on both sides of Japan especially in Central and East Japan. 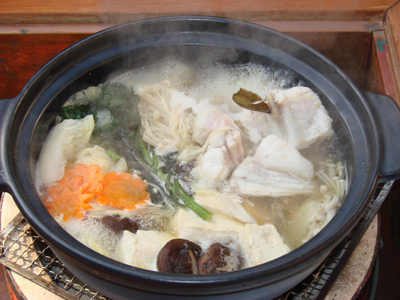 It is a specialty in Hamamatsu in our Shizuoka Prefecture. 11,000 tonnes are caught yearly around Japan. It is bred in Japan to the tune of 4,700 tonnes. 13,000 tonnes are mainly imported from China and South Korea. 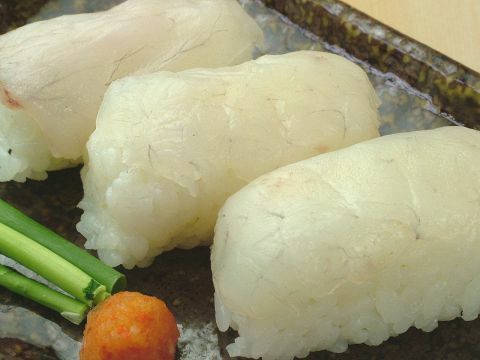 In Japan, although it can be bought already dressed, one needs a special license to cut it, serve it, or sell it as the innards contain a violently lethal poison, although cheap fugu (not torafugu) does not always contain such toxin! 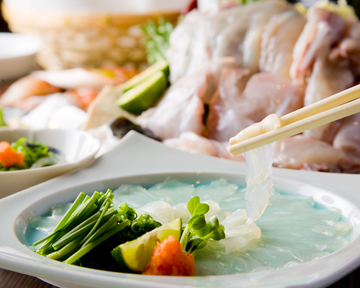 Cheap fugu can be eaten raw as sashimi all over Japan. 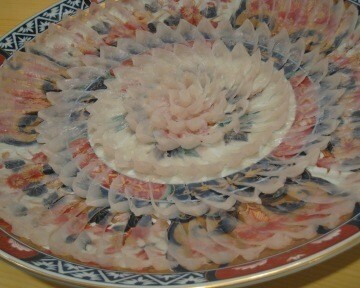 But more expensive torafugu sashimi is served as a piece of art! 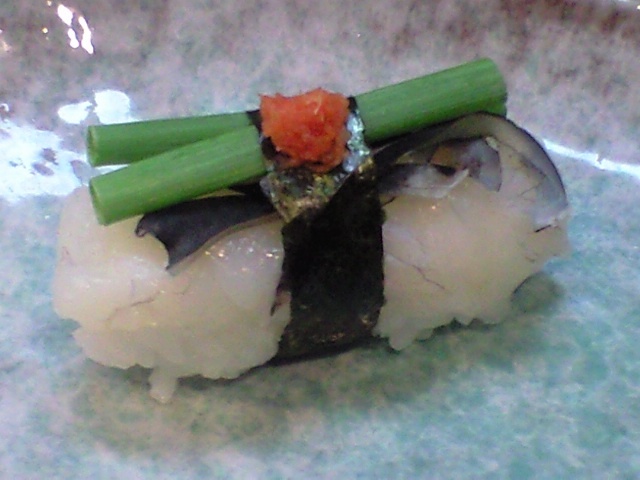 As sashimi, it is best avoured with leeks, lemon, momijioroshi/grated daikon with chili pepper and ponzu! 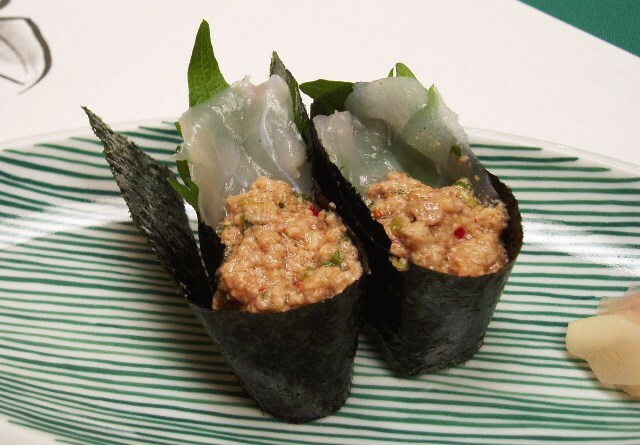 As sushi, it can be served fairly plain. 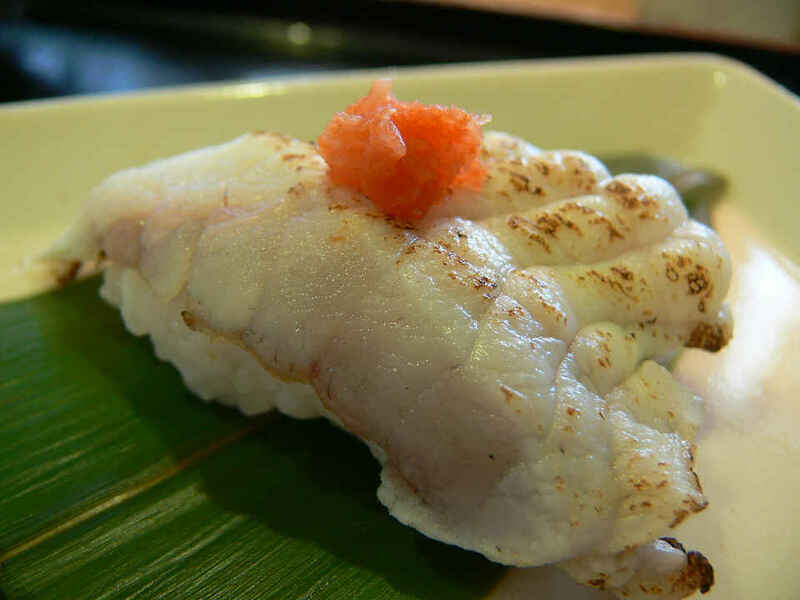 Or aburi/炙り, lightly seared on one side! Or more artistically with sansho and herbs! Or even with its skin as the latter is edible! 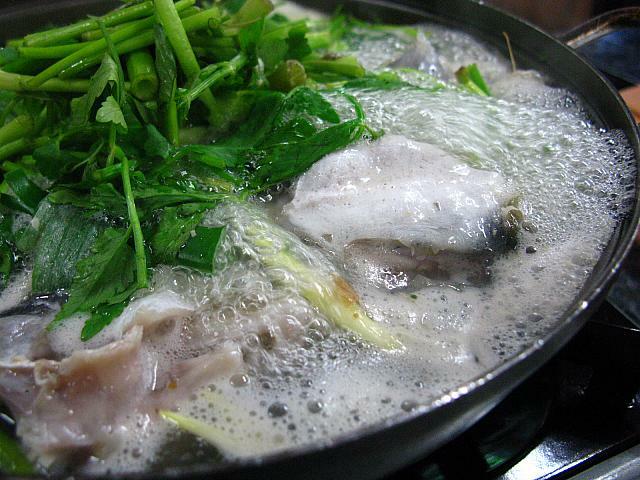 It can also be served as gunkan seasoned with its own liver: a true delicacy! Shirako/白子 or male spem sacs are also a delicay! 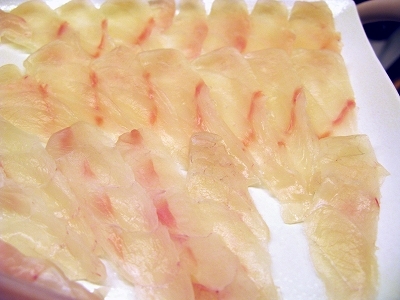 Torafugu can anturally be cooked, especially the bony parts full of meat but difficult to cut. 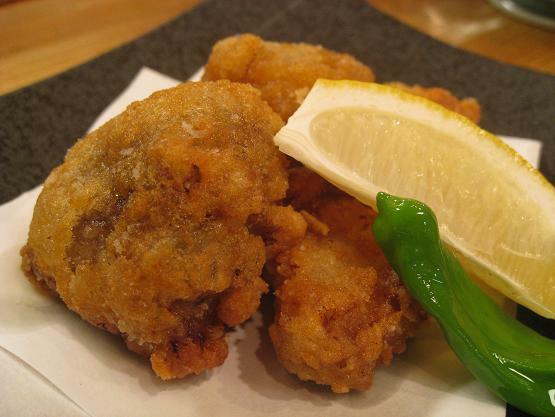 My favourite is karaage/唐揚, deep-fried!